A “No-Go” Area in Minneapolis? A 6-Foot Fence in Minneapolis To Keep You Out? Recently, local news stations and newspapers reported that four public housing buildings within the Minneapolis neighborhood of Cedar-Riverside, a neighborhood that is known as the Somali Capital of America, will be erecting an $825,000 6-foot high fence along with key fob access and 17 security cameras. Quick math shows that amounts to $206,250 per building. Could this be the beginning of a “no-go” zone? 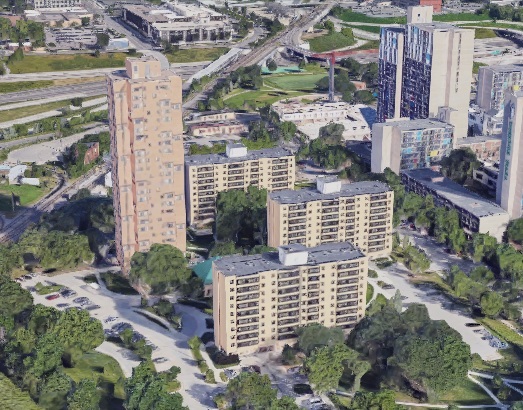 The nearly eight-acre campus has 539 residential units in the four high-rise buildings that make up the Cedar High Apartment Complex, which is located at 1611 and 1627 South 6th Street and 620 and 630 Cedar Avenue South. The Minneapolis Star Tribune reported on 5/8/2018 that the community within these four buildings has complained it’s been too easy for intruders to enter their community and hurt and steal from them. The Star Tribune reported Mayor Frey earned loud applause by giving his opening remarks in Somali at this meeting. The $825,000 is apparently being spent without the analysis of crime statistics to justify this project and warrant this expense. The mayor said the fence is being built merely because the residents spoke out. Deplorable Housewives reached out to the Minneapolis Public Housing Authority (MPHA) asking for information such as police reports on what types of crimes have been committed at this complex and who has been committing them. So far, we have not received a response from the MPHA. The news reports did not specify who is doing the hurting, intruding or stealing. We have not come across any police reports to back up the claims of criminal activity in the articles or news stories that have reported on the construction of the Cedar-Riverside fence. If this is happening in this particular complex, are there other complexes in other Minneapolis neighborhoods experiencing crime/intrusion/theft? Why does only this complex deserve a fence? The Executive Director of the MPHA agreed to use taxpayer dollars to build a fence around these specific four buildings to keep out “unwanted intruders” – but who specifically are the “unwanted intruders”? In July 2016, a group of 20-30 Somali men made terroristic threats in the upscale neighborhood of Linden Hills in Minneapolis where they threatened residents, shot bottle rockets and drove up on sidewalks and lawns. No residents of Linden Hills called for fences or barriers to keep out those intruders. In fact, those who reported this incident kept their faces hidden on news reports because they feared for their lives. Nothing more has been said of this incident since. The MPHA states on their website they will protect the many vulnerable populations they serve, including the elderly, the disabled and immigrants. How many senior communities are segregated from the surrounding neighborhoods with a security fence at taxpayer’s expense? How many neighborhoods of physically-challenged people are receiving 6-foot fences? Why should a specific community be afforded a fence to separate themselves from their surrounding communities paid for with taxpayer dollars? And why is the fence 6-feet tall? Wouldn’t a 4-foot tall fence get the job done? Assimilation of those who move to our great country is not done through segregation. America’s greatness throughout history has been through the acculturation of immigrants woven into the fabric of the world’s greatest “melting pot.” Partitioning a community to keep out unidentified “intruders” without statistics as to who is committing crimes and who the intruders are is not indicative that these new Americans wish to assimilate – but wish to segregate themselves from becoming Americans – and they’re doing so at the taxpayer’s expense. If new arrivals wish to keep themselves separated from the very people who are supplying the money to build their fences with sophisticated keyed entries and security cameras through their hard-earned tax dollars, then these “New Americans” should ask themselves if they are here to assimilate and contribute to American society in a positive way or do they wish to continue to live the way they did in their former home country with their own laws and rules in a separate section of Minneapolis? If they choose the latter, I don’t want my tax dollars to have to pay for it.